'It was the BJP who decided to develop five places related to Ambedkar ji as 'Panch Tirath' in his remembrance,' said Yogi Adityanath. 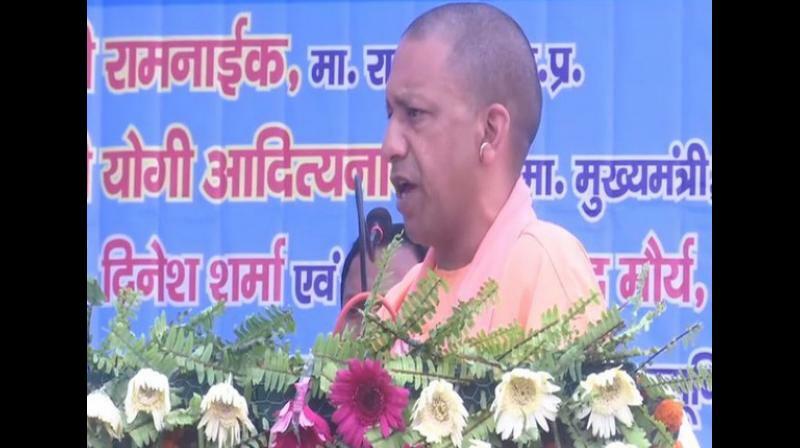 Lucknow: Paying tributes to Dr Bhim Rao Ambedkar on his 128th birth anniversary on Sunday, Uttar Pradesh Chief Minister Yogi Adityanath announced a new scheme to ensure proper learning spaces and environment for the children of labourers. "It was Ambedkar who believed that education can change lives. We have made a new scheme under which children of labourers will be given proper education. No matter where they are working, we will reach there to educate their children," Adityanath said while addressing a public gathering here. Underlying the need to provide scholarships and fee reimbursement to the students, he said: "Students from backward communities were denied scholarship and fee reimbursement, but now about 25 lakh students are being benefited with government funds and scholarships." "Ambedkar was an apostle of equality and freedom. He left an indelible mark in the making of new India. His ideas have constantly guided me to work for the welfare and dignity of our people. He has given voice to those who were not accepted by the society. He gave them a new direction," he added. Praising the Narendra Modi-led government at the Centre for giving due credit to Ambedkar, the Chief Minister said, “It was the BJP who decided to develop five places related to Ambedkar ji as 'Panch Tirath' in his remembrance." He also took on the previous government in UP and said: "The earlier government in Uttar Pradesh believed in dynasty politics. They made statues and put photos of their family members in public offices and other places. But, we directed all public offices to install Ambedkar's photo." The Lok Sabha polls for 80 parliamentary seats in Uttar Pradesh began on April 11 and is staggered in all seven phases till May 19. The results will be declared on May 23.